The 200 million-year-old shoe print—time to rewrite history? The enigmatic object was discovered in 1917 and dates back a staggering 200 million years. 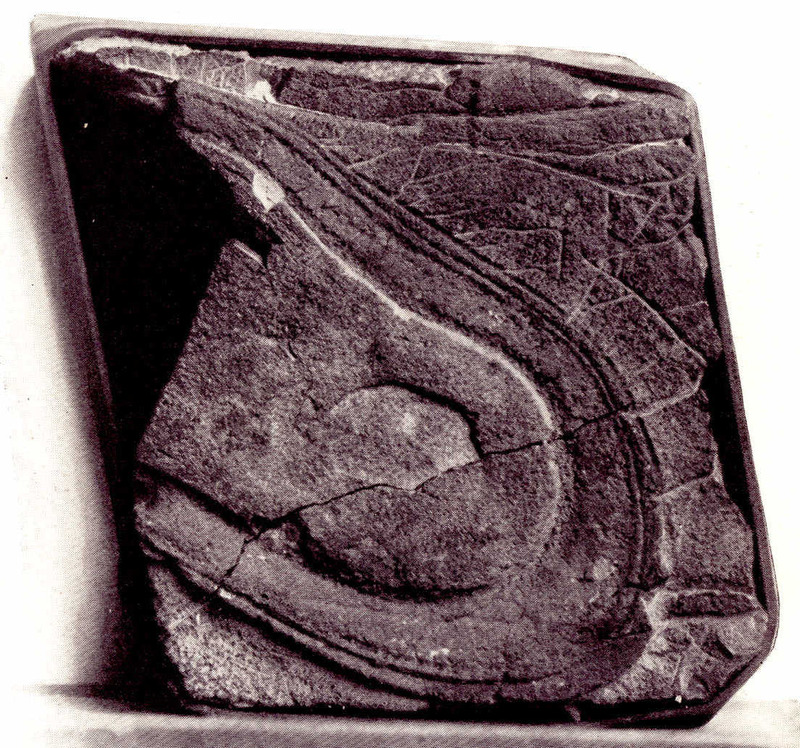 Microphotographic analysis showed very clearly that it bore a minute resemblance to a well-made piece of leather, stitched by hand, and at one time worn by a human foot. The photographs showed the stitches very plainly; at one place it was double-stitched, and the twist of the thread could be clearly seen . Countless enigmatic discoveries have been made in the past which point to the possibility that modern humans have existed on Earth much sooner than scholars suggest. Referred to by many authors as ‘ooparts—or out of place artifacts’, these enigmatic findings push the boundaries set forth by mainstream scholars, challenging everything we know about modern humans and life on Earth. This engimatic—and somewhat controversial—discovery was made over one hundred years ago by an employee of the Nevada Mining Company, called Albert E. Knapp. To be precise in January of 1917. 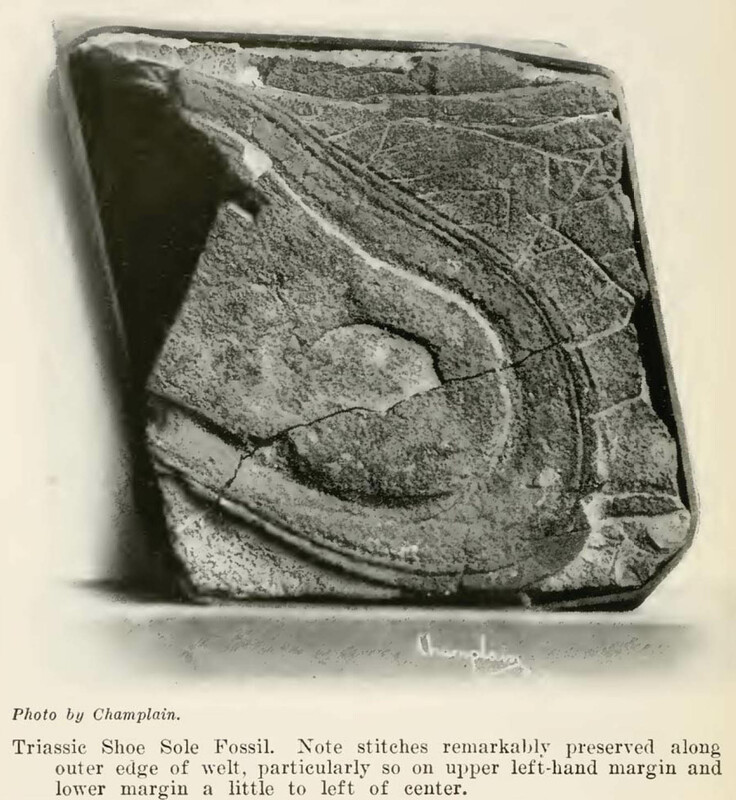 However, there are several websites who have mistakenly deduced that the ‘200 million-year-old fossilized shoeprint’ was found in Triassic rock near Fisher Canyon, Pershing County, Nevada by John Reid in 1922. The enigmatic object caught the attention of several researchers who were looking forward to analyze it. The object also caught the eyes of the media as we find two reports about the discovery in a March 19, 1922 story in the New York Times: “It would fit nicely a boy of ten or twelve years. The edges are as smooth as if freshly cut. The surprising part of it is what seems to be a double line of stitches, one near the outside edge of the sole and the other about a third of an inch inside the first. The ‘leather’ is thicker inside the inner welting and appears to be slightly bevelled, so that at the margin, half an inch wide, which runs outside, the sole is something like an eighth of an inch thick. The symmetry is maintained perfectly throughout. The perfect lines pursued by the welting, and the appearance of hundreds of minute holes through which the sole was sewed to the shoe are the things which make the object such an extraordinary freak in the eyes of the scientists who examined it. “…Some time ago, while he was prospecting for fossils in Nevada, John T. Reid, a distinguished mining engineer, and geologist, stopped suddenly and looked down in utter bewilderment and amazement at a rock near his feet. For there, a part of the rock itself, was what seemed to be a human footprint! Closer inspection showed that it was not a mark of a naked foot, but was, apparently, a shoe sole which had been turned into stone. The forepart was missing. But there was the outline of at least two-thirds of it, and around this outline ran a well-defined sewn thread which had, it appeared, attached the welt to the sole. Further on was another line of sewing, and in the center, where the foot would have rested had the object really been a shoe sole, there was an indentation, exactly such as would have been made by the bone of the heel rubbing upon and wearing down the material of which the sole had been made. Thus was found a fossil which is the foremost mystery of science today. For the rock in which it was found is at least 5 million years old…” (Source: Ballou, W. H. 1922, American Weekly section of the New York Sunday American (Oct. 8)). However, as noted by paleo.cc, the article that appeared in New York Sunday American mistakenly credits Reid instead of Knapp as the person who discovered it, but it offers misleading details about the age to the artifact. Furthermore, it is noted that the alleged shoe print was in a marvelous state of preservation—as the edges of the heel were smooth and rounded off as if cut, and its right side appeared more worn than the left—an indicative sign that it had been worn on the right foot. However, many authors and websites—who disagree with mainstream history mostly—argue that what Knapp found really amazing was that the rock in which the heel mark was made, was Triassic rock—believed to be at least 220 million years old—which runs in a belt through the canyon hills where the enigmatic shoeprint was discovered. But author Glen J. Kuban notes that there are several issues with the shoeprint interpretation. Kuban notes that from the only photographs from the artifact, we can deduce that it seems to be a broken ironstone concretion, one that may have suffered from erosion. Interestingly, such concretions tend to display ovoid shapes and concentric banding like the one discovered in the alleged 200 million-year-old shoe print. As noted by essayfarm.com, Concretions are hard compact accumulations of mineral matter and are found inside sedimentary rocks. Often concretions are mistaken for bones, fossils, meteorites and other odd objects. They can be so small that it requires a magnifying glass to be visible or as large as 10 feet in diameter and weigh hundreds of pounds. Concretions can also have somewhat of regular shapes such as boxes, blocks, flat disks, pipes, cannon balls and have even been known to resemble parts of a human body such as a foot or ribs. As noted in the book God-Or Gorilla by McCann, Alfred Watterson, 1879-1931, the Rockefeller Institute conducted microscopic photography of the print, which showed that the object in question contained the presence of two rows of stitching, about 1/3″ apart, with the appearance of hundreds of minute holes through which the soul was sewed to the shoe. Regrettably, no microscopy images were published to back the claims. Creationsim.org states that the above-mentioned microphotographs showed very clearly that it bore a minute resemblance to a well-made piece of leather, stitched by hand, and at one time worn by a human foot. The photographs showed the stitches very plainly; at one place it was double-stitched, and the twist of the thread could be clearly seen. The thread is smaller than any used by shoemakers of today. Minute crystals of sulphide of mercury are to be noticed throughout the spaces of this fossil shoe-sole, these minerals having been deposited in the long ago by waters which carried them in solution. Regrettably, the present location of the artifact is unknown, so further studies cannot be conducted.